Filling ceiling cracks prior to painting is an essential part of the decorating preparation process. The main problem with filling ceiling cracks, is that the cracks often reappear very quickly after they’ve been painted. This can be due to a number of reasons, and diagnosing those reasons can generally help in filling them successfully, and providing a good chance of them not returning in the near future. There is no surefire permanent fix for filling ceiling cracks, but the advice below should help you in deciding on the best option to take. Self adhesive scrim is often the secret for successfully filling ceiling cracks. These are the ones that are only going in one direction, parallel to opposing walls, and sometimes spanning all the way across a room, following a pretty straight, direct line. These cracks tend to be coinciding with joists in the ceiling, and are therefore created by stresses on those joists from above; basically created by people walking (or jumping!) on the floor above. The best remedy I’ve found for these situations is to apply self adhesive scrim tape along the crack and then fill over the top of it with a wide band of all purpose filler. A wide bladed filling knife or caulking blade is the ideal tool here with two or three applications of filler being best, sanding between coats. The reason for applying the filler in a wide band is to camouflage what will effectively be a small undulation in the finished ceiling, which would otherwise be much more noticeable if you just used a narrow band of filler to cover the scrim. With cracks going in two directions, at right angles to each other, normally indicates that the cracks are following the edges of the plasterboard sheets used in the construction of your ceiling. So if you have this staggered grid pattern, it generally means that when the ceiling was put up, either the plasterboard sheets weren’t fixed in place securely enough, or the junctions between sheets weren’t taped with scrim before plastering, or indeed you may have a combination of both these factors. If the plasterboard is not secured flush to the underside of the joists, even slight movement from above causes the sheets to ‘bounce’, and therefore crack along the edges. Further evidence of this particular problem is identified by nail heads or screw heads that are ‘popping’ adjacent to the cracks, which indicates movement of the plasterbaoard. Also, if no scrim tape has been used on the joints, the joints are simply more likely to crack. Both these problems tend to indicate poor workmanship. If this problem is extensive you really need to refix the ‘loose’ sheets, get the joints taped with scrim, and re-plaster the whole ceiling. If the problem is more localised in small areas, re-fix the popping nails or screws, tape the cracks and fill as described above in ‘Straight ceiling cracks in one direction’. Diagonal or random cracks normally occur as a result of wear and tear over time, in addition to traffic on the floor above. Generally, raking out the crack with the end of your filling knife followed by filling with all purpose filler, will sort out the problem. 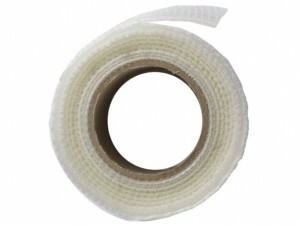 You can also go down the taping and filling route, which is more work, but can provide a better guarantee. Larger or expanding cracks could suggest the plaster is losing its bond and in extreme cases, sections of plaster could potentially fall down. I would associate this more with older properties where the old lime plaster literally starts coming away from the laths, in which case you really need to be looking at overboarding and plastering the entire existing ceiling, or, taking down the old lath and plaster and re-plasterboarding followed by plastering. Small cracks along corner junctions are commonplace in most homes and just suggest it’s time to do some re-decorating. Because the crack is at a junction, it’s always best to use a flexible filler, known as caulk, for filling along this joint. As the caulk is flexible, it is far less likely to crack than an all purpose filler. So why not use caulk on the other ceiling cracks? Basically, it doesn’t create a neat finish on ‘flat’ surfaces (unless you have the skills of a consultant plastic surgeon), so the crack can technically be filled using caulk, but it will still be very noticeable. In some cases, cracks can mean structural problems rather than the cosmetic issues that are the main points of discussion in this guide. If you do have any concerns about ceiling cracks, then you need to seek some professional advice, just in case. One solution with ceiling cracks is to apply lining paper over the whole ceiling as the paper will certainly tolerate small movement and cracking of the ceiling beneath it – Yes, it’s more work, but it certainly does ‘cure’ a lot of cracking problems. Always remember that filling the cracks is only half way to getting a seamless decorative finish. Even with small cracks you may need to fill and sand twice, to get the best finish. Also, if you use caulk along corner cracks, because it cannot be sanded, it needs to be smoothed perfectly before it dries. For more information on filling surfaces, please take a look at my ‘Preparing surfaces for decoration’ guides. This entry was posted on Wednesday, September 19th, 2012 at 11:26 am and is filed under 'How-to' Guides, Preparing Surfaces for Decoration. You can follow any responses to this entry through the RSS 2.0 feed. You can leave a response, or trackback from your own site.